Cindy is a member of the highly-successful LaChance + Team who considers herself very fortunate to learn from the best in the industry. From new development to resale spanning Manhattan to Brooklyn, she has gained expertise in all facets of the business, and most importantly, she was able to achieve her clients' goals. Cindy is a believer that even with the best planning and guidance, timing is everything, and that things will ultimately fall into place on their own. When helping clients on their real estate journey, she focuses on understanding their needs and paying attention to detail throughout the entire process. Cindy is passionate about customer service, and wants clients to feel they can always count on her. Whether you are relocating from another city, purchasing your first home or selling a longtime property, you will find Cindy to be highly patient, hardworking and resourceful. She also loves sharing her professional knowledge and personal insight about the NYC market to add value to her clients. 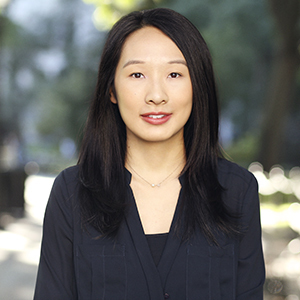 Born and raised in Shanghai, Cindy moved to the U.S. to attend high school. Having lived in Seattle, San Francisco and New York, she appreciates what each city has to offer. Prior to real estate, Cindy worked in one of the Big 4 accounting firms serving hedge fund clients. While she loves numbers, her real passion is interacting with people, and hearing their stories about what brought them to this amazing city.